Tatua 3 is quickly growing in popularity because of the amazing opportunities this Kenyan lottery is bringing to the table. If you’re looking into it, chances are that you’re daring and looking for something exotic to try. Still, you may be oblivious about how to get started. Luckily, we’re here to help. 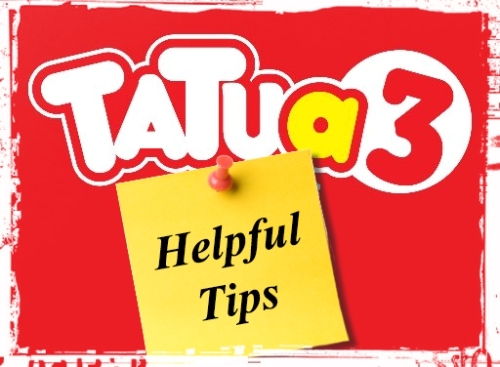 We’ve compiled a list of practical Tatua 3 tips and predictions that you can count on to improve your gameplay. Without further ado, let’s get started. This one is a no-brainer as far as Tatua 3 tips & predictions go, but we have to cover all of the basics. There are two things you have to do when playing Tatua 3 – choose your lucky numbers from 0 to 9 and choose a bet. Obviously, the size of the bet will be determining for the amount you can potentially win if any or all of your lucky numbers get drawn. The minimum bet is 10 Kenyan shillings or approximately 0.1 US dollars. In this case, matching all three of the numbers drawn will result in a prize of 3,000 shillings. Matching 2 numbers will grant you a prize of 100 shillings. Tatua 3 comes with a maximum bet amount of 1,000 shillings so in a sense, you’re protected from overdoing it right from the start. Thus, the ultimate amount you can win in the game is 300,000 Kenyan shillings. 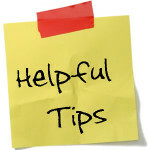 The first and the most important Tatua 3 tip we want to give you is to start slow. This rule is valid for all kinds of lotteries, but especially for the ones that give players the freedom to pick a bet on their own. While the premise of the game itself is a simple one, you will need a bit of time to get the hang of it. Thus, you may want to test out the smallest bet first. When you feel 100 percent comfortable with your Tatua 3 knowledge, you can move on to increasing the bet amount bit by bit. Still, you should know what the maximum threshold is and you shouldn’t get over it. Responsible playing is the only way to go if you want to enjoy a lottery without getting yourself in financial difficulty. Now let’s get down to business and discuss a few more advanced Tatua 3 gameplay approaches. If you’re committed to making this lottery work for you, the following Tatua 3 tip is the one you need to focus on. Every single lottery out there has a set of cold and a set of hot numbers. Tatua 3 is not an exception. Hot numbers are the ones that tend to be drawn more frequently than others. Cold numbers are the exact opposite –they don’t grant players the win too often. While statistics rules suggest all numbers have the same odds of being drawn, real-life examples paint a different picture. To increase your odds of winning a prize, you may want to examine the Tatua 3 hot and cold numbers. Based on these, you can either choose a specific numerical set or you can rely on a prediction tool that will do the job for you. Lottery prediction tools are based on probability and you’ll be free from doing the math. 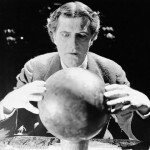 While coming up with a 100 percent accurate prediction is impossible, you can still improve your chances by eliminating certain numbers. Tatua 3 Predictions: What does the Future Have to Hold? As far as playing tips are concerned, you simply have to place your bets carefully and do a bit of research about the numbers. If you follow these steps, you’re going to be fine. The latest data suggest that over the course of its existence, Tatua 3 has produced prizes exceeding 360 million Kenyan shilling. In a country that has an average wage of approximately 6,500 shillings, the sum is more than impressive. Big prizes are handed all the time. On the day of this text being written (February 4), one player won a prize of 105,020 shillings. As the popularity of the game continues to grow in Kenya and other countries, it may be possible for prizes to experience a hike. Currently, players can buy their tickets via their smartphones. Online ticket buying options are also available. 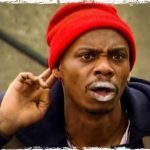 Based on the reputation of the lottery, it’s nothing but logical to predict that additional ticket buying options will become available for players from different parts of the world. As technology evolves, so will the chances of getting lottery tickets without ever having to leave your home. As far as Tatua 3 lottery number predictions go, these are already available. The trick is to find a website that bases the information on actual drawing analysis (hot and cold numbers). When you pick such an opportunity, you will definitely get a reliable chance to boost your odds. Tatua 3 is a lot of fun and it also happens to be inexpensive. These two characteristics, combined with the freedom of placing bets make it such a fun game to try. The rules are similar to those for all other lotteries. Apart from following such rules, you should also remember to have fun. Good luck! 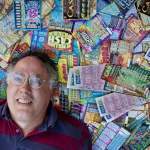 Amazing Scratch Off Lottery Strategies You Might Not Have Tried! Don’t Give Up Dude, Not Yet!